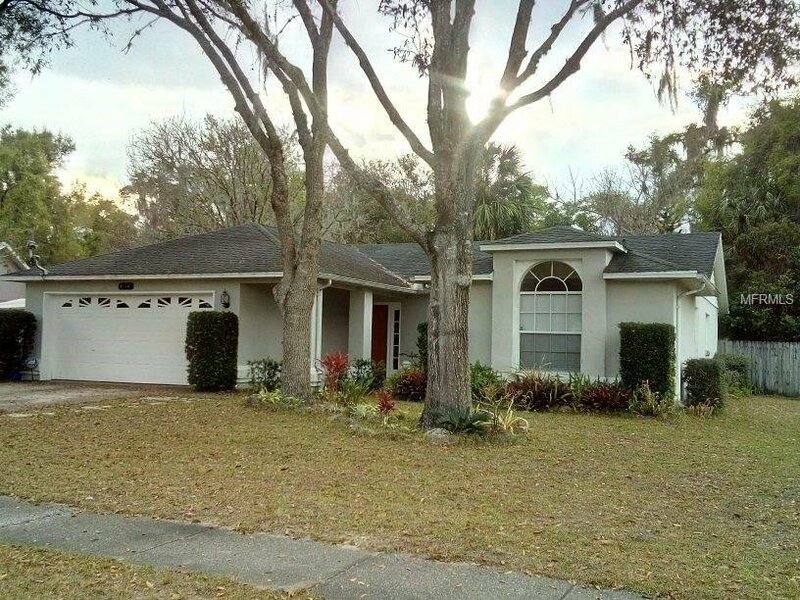 4 Bedroom, 2 Bath, 2 Car Garage, Block Home in Heather Glen of DeLand. Great Location near Shopping, Schools, YMCA & Airport. Convenient to Stetson & Close to downtown. Mature Oak Trees, Landscaped, Fenced Back with Fruit Trees & Large Screened In, Covered Lanai (under Truss) that opens to the Wood Deck and Quiet, Private Backyard & Shed. Listing courtesy of CHARLES RUTENBERG REALTY ORLANDO. Selling Office: LANE REALTY SERVICES, LLC.